Brookwood School district is one of the best in Gwinnett County, and so are the neighborhoods in it! Scenic Overlook in Lawrenceville. Plus, brokers can receive bonuses on these homes now through Labor Day. Each of the three luxurious homes features the Berkshire floor plan with 2,444 square feet and range in price from $176,630 to $199,990. The homes have private backyards, gourmet kitchens with stainless steel appliances and granite countertops, hardwood floors, five bedrooms and three baths. In addition, the homes offer a $7,500 to $10,000 bonus on a full price offer that is accepted by September 5 and that closes by the end of September. Residents can enjoy shopping at The Avenues, Discover Mills and the Mall of Georgia or hanging out at Alexander Park and the YMCA. Also, great restaurants await in downtown Lawrenceville. 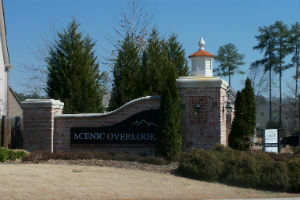 Students that live in Scenic Overlook attend Craig Elementary, Alton C. Crew Middle School and Brookwood High School. To visit the community, take I-85 North to Highway 316. Then, take a right on Sugarloaf Parkway. Next, turn right on Old Snellville Road. Scenic Overlook is on the left. www.AboutSalesInc.com or call 678-373-0739. The About Sales team has a wealth of product expertise in everything from entry-level to custom, intown to suburban, master-planned and golf course communities to active adult markets.